Welcome to the Music Department! 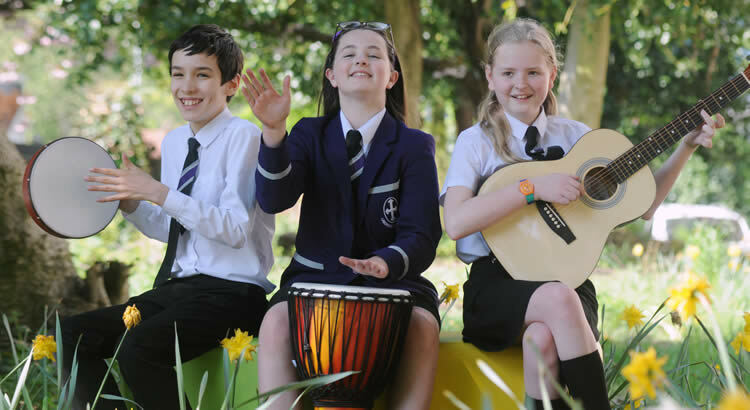 At St Hilda’s CE High School we have a wide range of extracurricular music with something offered every day. We have an open door policy allowing pupils to practice their instruments or classroom music topics at break/lunch/afterschool. Chamber Choir and The Tones Roses Collaboration. 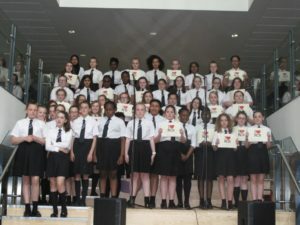 Lower School Choir Performing on the steps one lunch time. During key stage 3 we like to take pupils on a musical journey and prepare them for GCSE Music and further study. The bold print below shows areas that we study again at GCSE but skills from other topics are transferable. All pupils have the opportunity to join an extracurricular activity and learn an instrument/have vocal lessons. We aim to make lessons as fun and interactive as possible learning through doing and making music. Pupils will learn how to read both treble and bass clef and will perform/compose music on a weekly basis. 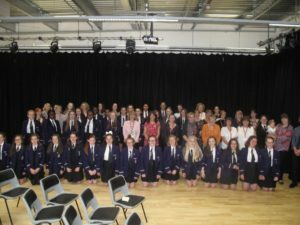 The Edexcel GCSE qualification will inspire the next generation of students in forming personal and meaningful relationships with music through the development of musical knowledge, understanding and skills. Students will be encouraged to engage critically and creatively with a wide range of music, develop an understanding of the place of music in different cultures and contexts, and reflect on how music is used in the expression of personal and collective identities. The specification allows students to develop particular strengths and interests, encourage lifelong learning and provide access to higher education and university degree courses in music and music-related subjects as well as music-related and other careers.